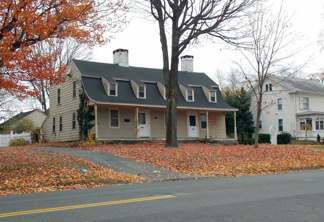 After several months of dedicated effort, the Milford Preservation Trust led by President Regina Cahill, along with CT Trust for Historic Preservation, have succeeded at saving one of the few remaining 18th Century houses in Milford from demolition. This house, listed on the National Register as the Thomas Sanford House but better known as the Sanford-Bristol House, is quite celebrated, having been written about in numerous articles and histories over a period of many years. It is distinctive in its 1/2 gambrel saltbox architectural style, may have Dutch influences, and is a state resource under Connecticut’s Environmental Protection Act, better known as CEPA. At great expense, the Milford Preservation Trust, Inc., along with our partner the CT Trust For Historic Preservation, Inc. sought relief in court under CEPA to prevent the demolition of the 1790 house. The CEPA act allows citizens to challenge unreasonable destruction of historic buildings listed on the National Register of Historic Places. In November, the two Trusts reached a settlement with property owners allowing the property to be sold to another party. The sale of the Sanford-Bristol house confirms that selling a historic property to a new owner is a reasonable alternative to demolition. 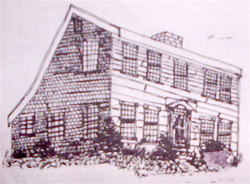 The Milford Preservation Trust is most grateful to Helen Higgins, Executive Director of the CT Trust, and to Gregory Farmer, a circuit rider for the Connecticut Trust, for their steady hands and great support in saving this historic house and, consequently, the entire concept of historic districts for our state. Our deepest gratitude is reserved for Milford resident Lesley Mills who came forward to purchase this historic home in Milford’s River Park National Historic District and Milford Historic District #1. This purchase will ensure that the Thomas Sanford House at 111-113 North Street will remain a source of pride for all residents and tourists of historic Milford for many years to come.